You may have heard the term tele-summit in the past which conjured up images of slimy and tacky online events run over a group phone line with bad marketing – at least it did for me! 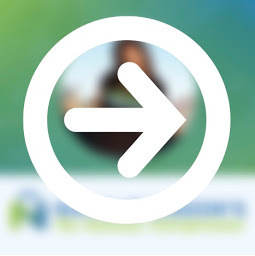 That was until Navid Moazzez put a whole new spin on this fantastic marketing tool by turning it into a professional business model to be reckoned with. 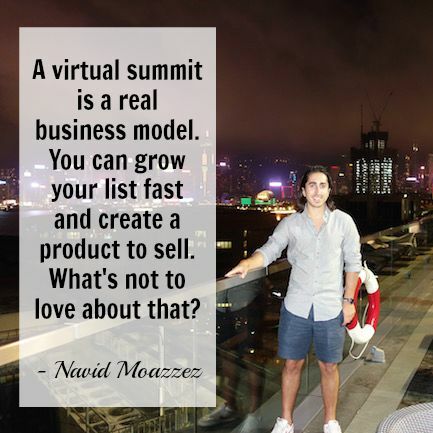 A virtual summit is an online conference and, as Navid has proved, if you’re prepared to do it well, it can be used as an entire business model in its own right. It’s an excellent way to grow your email list rapidly, connect with influencers, build authority and make big profits. Navid Moazzez is a recovering law school student who turned lifestyle entrepreneur, blogger, podcaster, online marketer and personal branding strategist. He has made thousands of dollars through his online conference The Branding Summit in 2014, interviewing 88 experts on personal branding. In this episode, Navid and I went in-depth about how he started out – from leaving his career path of law, to taking my blog challenge and launching his own summit that allowed him to make more in 3 weeks than in his entire year of work, quit his job and now travel the world while running his business! Tools : LeadDyno is a tool designed specifically for online entrepreneurs who are setting up a formal referral program. Offering unmetered disk space and bandwidth, an easy to use control panel, 4500 free website templates, one click WordPress installs and more, you won’t be disappointed. They also guarantee a 99.9% uptime for your site because they know how important the availability of your website is. Your website needs a good host, so what are you waiting for? Head to HostGator now.